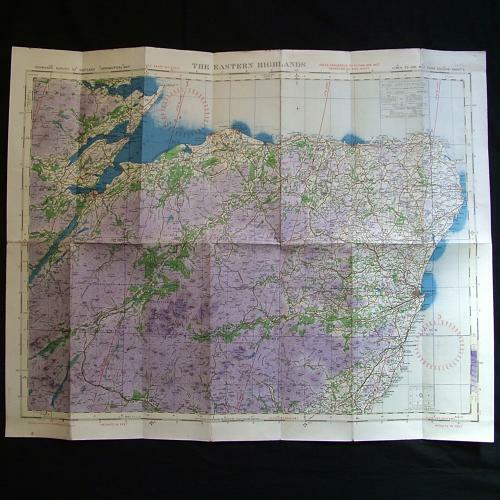 The Eastern Highlands (Scotland), Third edition Sheet 5, R.A.F. (WAR) 2nd Edition dated 8/42. 1/4" to One Mile. Linen backed paper. Approximately 75 x 59cm. It shows wartime air bases operational at the time including Lossiemouth, Kinloss and Peterhead. Folded/creased. Light soiling. Very good used. Stock code P20808.